Noble Group, a $46 billion turnover company that manages a portfolio of global supply chains across a range of industrial and energy products, is taking a serious interest in a research project being undertaken by innovative Rotherham firm, Metalysis. Metalysis recently started a second phase of research into 3D printed permanent magnets which could help solve a potential crisis in the electric vehicle industry. Earlier this year a partnership was formed with Mkango Resources Ltd, a Canadian listed mineral exploration and development company, to work on rare earth permanent magnets that are at risk of shortage. Mkango has now announced that an agreement has been signed that will see Talaxis fund the development of its Songwe Hill Rare Earths Project in Malawi and the commercialisation of new magnet technologies. Talaxis is a wholly owned subsidiary of Noble Group Limited and was created to develop the cobalt, lithium and rare earth business. Talaxis has agreed to fully fund a bankable feasibility study for Mkango's Malawi project in return for a 49% interest in the project. Talaxis will invest £12m and has the option to acquire a further 26% interest. Mkango also revealed that it is considering establishing a new venture focused on neodymium alloy powders, magnet and other technologies, including its collaboration with Metalysis. Talaxis is investing £2m for a 49% interest in the new venture. William Dawes, chief executive officer of Mkango, said: "This transaction is transformational for Mkango and for Malawi, and is a further endorsement of the company's strategy and potential. This Agreement significantly strengthens our balance sheet whilst ensuring that the company is fully funded to progress Songwe and our collaboration with Metalysis. "It also comes at a pivotal time in the rare earth market with a very strong demand outlook for rare earths such as neodymium and praseodymium used in permanent magnets for electric vehicles, wind turbines and other clean technology applications. 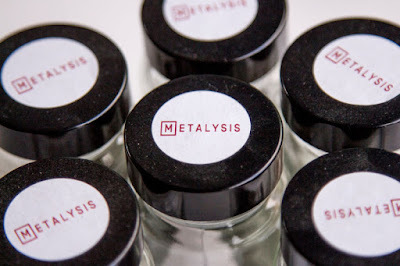 "We are very excited to be working with Talaxis, and moving forward with the bankable feasibility study for Songwe and Phase II of the research and development programme with Metalysis." Mkango said that the proceeds will be used to fund the Phase II R&D programme with Metalysis. One opportunity identified in the programme includes evaluating the UK as a future host country for a manufacturing plant to exploit a commercialised technology. Backed by investors and grants, Metalysis, a Cambridge University spin out, secured £20m of investment last year and recently opened a Materials Discovery Centre in a 22,000 sq ft unit on the Advanced Manufacturing Park (AMP) in Rotherham. It is also scaling up production of titanium at its Farfield Park premises.